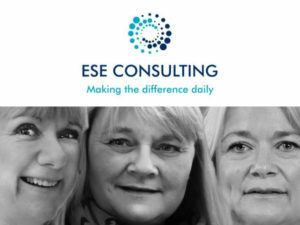 Launched last year, ESE Consulting combines three of the industry’s leading female figures to bring a refreshingly different approach to help fleet and automotive consultancy. Directors Sarah Easton, Caroline Sandall and Jo Elms speak to Natalie Middleton. JE: We’ve known each other for over 15 years through our various work roles. Additionally, we were all founder members of LILIES (Leasing Industry Ladies Invitation Events). Perhaps it was serendipity but we all ended our previous employment at the same time and were considering our future options. We had all decided independently that we’d like to try our hand at consultancy and believed that collectively we would be able to draw upon our diverse wealth of expertise and experience. ESE Consulting was born on 1 July 2017. How do your respective backgrounds complement each other? SE: Between us we have some 70 years of combined automotive experience. Caroline has held fleet manager roles at Barclays and Orange Business Services and has a long history of involvement with ACFO, including her current role as deputy chair. I was most recently managing director at Fleetondemand – which provides technology for corporate travel & mobility-as-a-service – and I have also worked in various ‘product’ positions at LeasePlan and as head of national accounts at Thrifty. Meanwhile Jo also brings a wealth of experience from LeasePlan including as commercial director in addition to her previous roles with manufacturers. Our backgrounds are different but complementary and we each bring something new to the table. Between the three of us, we cover all sides of the fleet industry – supplier, customer and end-user fleets – we have experience of everything from traditional company car fleets, product management, operating models and funding routes, tender and sales management support to mobility management, and can cover all angles from an operational and commercial perspective. As well as fleet, we also work across the broader automotive industry – drawing again on our various career backgrounds – and offer consultancy for many different types of automotive firms, from leasing and contract hire, through rental and fleet management to dealer groups. Some of the projects that we have undertaken to date include product proposition development & research for the rental & fleet/accident management industries, leasing broker research and compliance, sales mentoring, acquisition research and due diligence and operational process reviews/lean reviews. What new approaches do you bring to fleet consultancy and why should fleets use your services? CS: From the fleet perspective, we cover everything from managing fleet policy, supplier reviews and tender processes to helping fleets make the switch to ultra-low emission vehicles or with the shift from fleet management to mobility management – with a view to cutting costs while aiding employee recruitment and retention. We offer a holistic approach, drawing upon our diversity of experience and expertise on the basis of six eyes are better than two, helping businesses to meet today’s challenges, supported by an end-to-end consultancy service. How have you seen the fleet market changing in recent years and what’s your advice to fleets looking to evolve with the times? CS: The fleet sector is being hit by a double whammy of having fewer and fewer dedicated fleet managers in the industry while the number and breadth of challenges has never been greater. As such, there is a real need to get ahead on a range of issues to avoid being left behind. Businesses are currently flying blind on a number of key industry issues: from how a final Brexit deal will be shaped, through to a future structure for Company Car Tax and WLTP. From a fleet manager’s perspective, this makes long-term planning impossible, including for choice lists. But fleets can still take action now to put controls in place. This includes moving away from diesels, not just switching to petrols but also reviewing where electric vehicles can fit into their fleet now to make sure they’re ready for mass market take-up in the next 5-10 years. Fleets should also start factoring in the arrival of WLTP figures into choice lists. Businesses should also start looking ahead to mobility management to bring a joined-up approach to fleet and travel management. Above all, businesses can no longer apply a ‘one size fits all’ approach to fleet management and this is where we can help, using our diversity of experience as key industry stakeholders to equip fleets for a challenging and changing world.